An effortlessly chic closet staple. Crafted from soft, durable combed cotton. Enzyme-washed for longevity and to prevent pilling. Scoop neckline. Three-quarter sleeves. Straight hemline. 100 percent combed cotton. Machine wash, tumble dry low. Made in the U.S.A. and Imported. Measurements: Length: 23 in Product measurements were taken using size SM (US 2-4). Please note that measurements may vary by size. A three dots&amp#8482 classic. Soft combed cotton is enzyme-washed to prevent pilling. Solid tee features a sophisticated boat neckline. Modern three-quarter sleeves. Signature flat-lock stitching. 100 percent combed cotton. Machine wash, tumble dry low. Made in the U.S.A. and Imported. Measurements: Length: 24 in Product measurements were taken using size SM (US 2-4). Please note that measurements may vary by size. Smooth and refined, Three Dots has made their Long Sleeve Crew comfortable and timeless. Made with ultra-soft combed cotton for an amazing look and feel. Crew neckline. Long sleeves. 100 percent combed cotton. Machine wash cold, tumble dry low. Made in the U.S.A. and Imported. Measurements: Length: 23 in Chest Measurement: 12 in Sleeve Length: 30 in Product measurements were taken using size XS (US 0-2). Please note that measurements may vary by size. The three dots&amp#8482 Short Sleeve Crew is an absolute wardrobe essential. 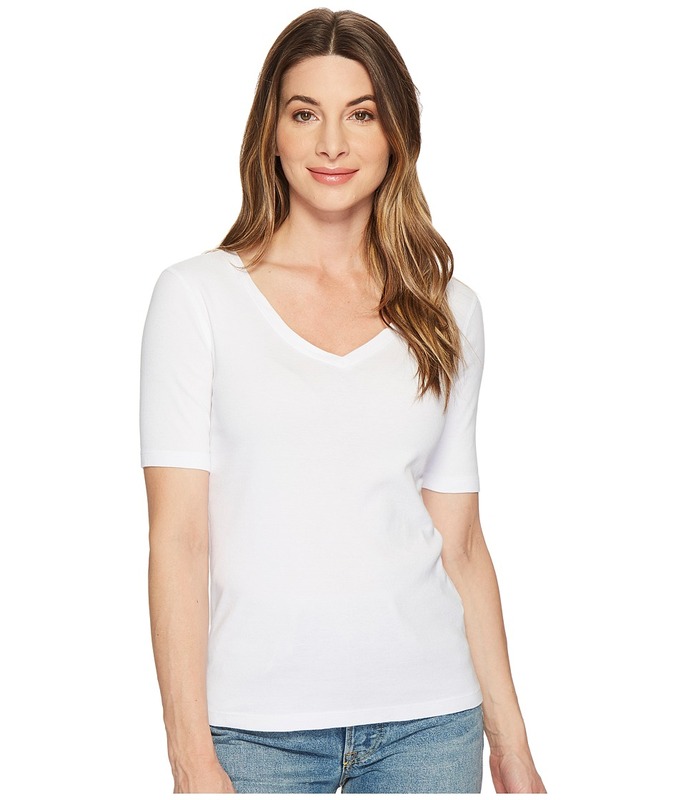 Classic tee in high-quality combed cotton resists pilling and fading. Banded crew neck. Signature flat-lock stitching for durability. Slim fit. 100 percent combed cotton. Machine wash cold, tumble dry low. Made in the U.S.A. and Imported. Measurements: Length: 23 in Product measurements were taken using size SM (US 4-6). Please note that measurements may vary by size. An effortlessly chic closet staple. 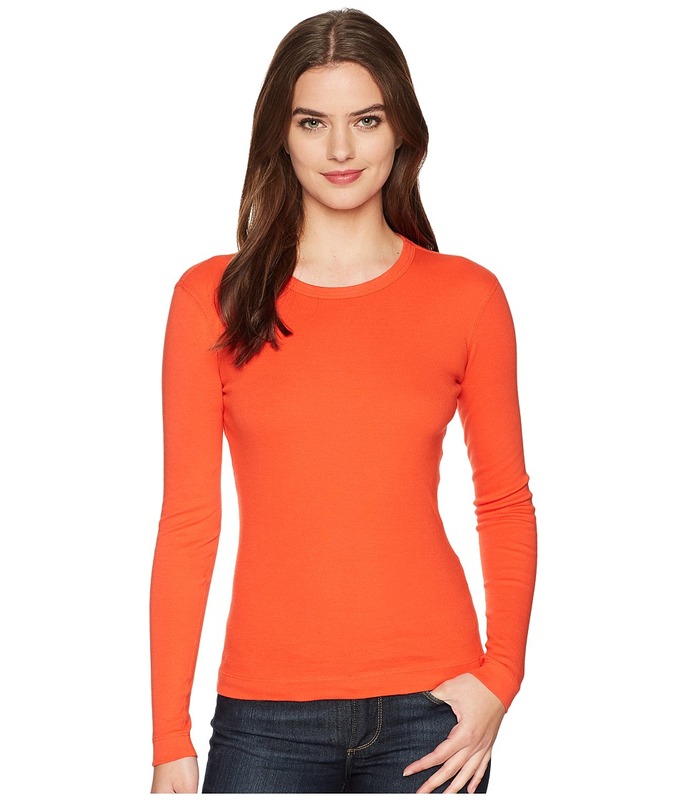 Rib knit shirt is crafted from ring-spun combed cotton. Enzyme-washed to prevent pilling. Flatlock stitching throughout. V-neckline. Three-quarter sleeves. Straight hemline. 100 percent combed cotton. Machine wash cold, tumble dry low. Made in the U.S.A. and Imported. Measurements: Length: 23 in Product measurements were taken using size XS (US 0-2). Please note that measurements may vary by size. A modern Three Dots tank is perfect for an effortlessly chic look. 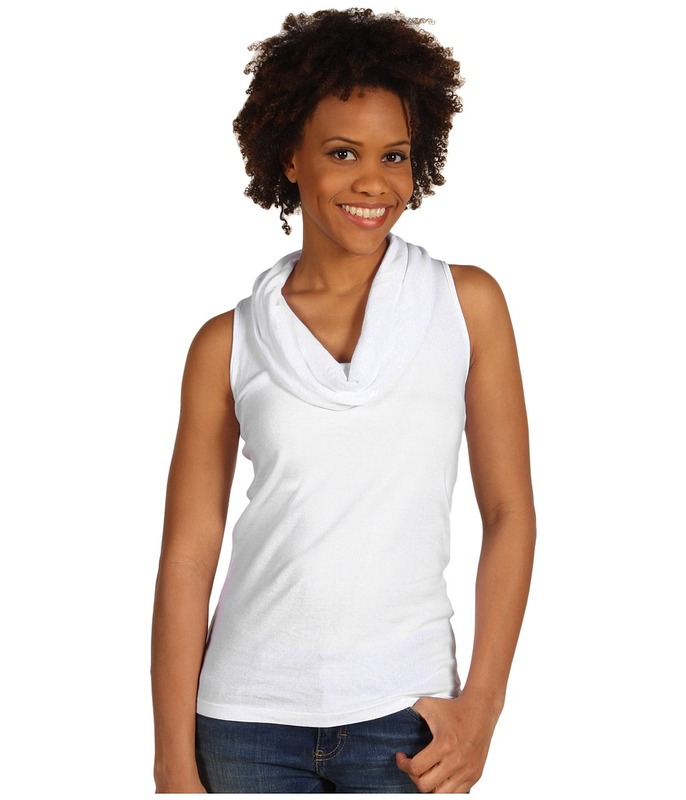 Trendy long tank is fabricated from a stretchy viscose jersey blend. Banded detail at neck and armholes. 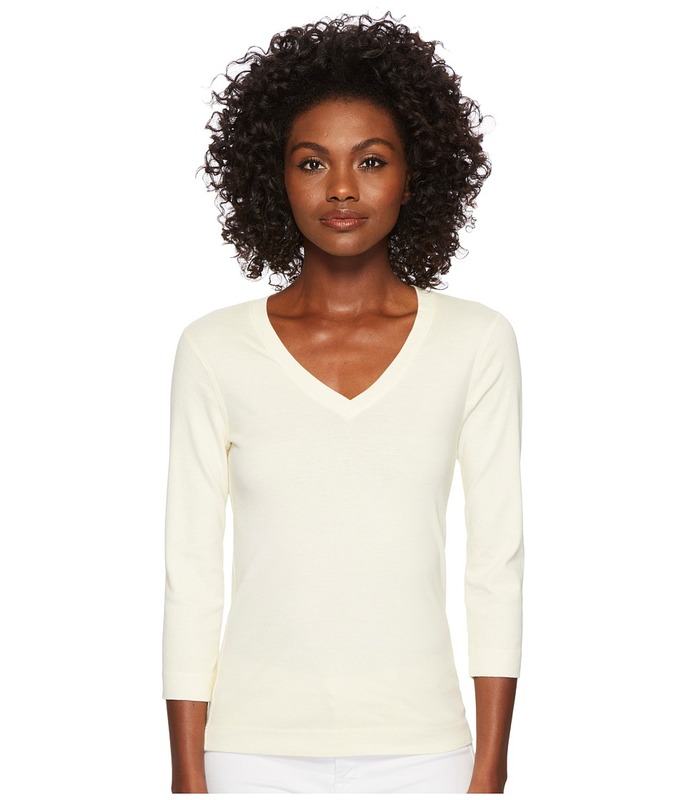 Deep scoop neckline. Sleeveless design. Shirttail hemline. 95 percent viscose, 5 percent spandex. Machine wash cold, line dry. Made in the U.S.A. and Imported. Measurements: Length: 29 in Product measurements were taken using size XS (US 0-2). Please note that measurements may vary by size. An elegant update to the classic tank. Soft and sturdy combed cotton fabric is enzyme-washed to prevent pilling. Rolled cowl neck delivers a divine drape. Cutaway back shoulders. Signature flat-lock stitching. Falls at the hip. 100 percent combed cotton. Machine wash cold, tumble dry low. Made in the U.S.A. and Imported. Measurements: Length: 25 in Product measurements were taken using size SM (US 4-6). Please note that measurements may vary by size. A totally feminine tee from three dots&amp#8482. Lightweight jersey colette fabric feels soft and fine. Short sleeve tee features a slim fit. Banded deep V-neck. Falls at the hip. 100 percent Supima&amp#174 cotton. Machine wash cold, tumble dry low. Made in the U.S.A. and Imported. Measurements: Length: 26 in Product measurements were taken using size SM (US 2-4). Please note that measurements may vary by size. A wonderful tank to layer or wear on its own. Lightweight viscose jersey fabric feels soft and slinky. Long tank features a feminine slim fit. Scoop neck and back. 30 length. 95 percent viscose, 5 percent spandex. Machine wash cold inside out, line dry. Made in the U.S.A. and Imported. Measurements: Length: 27 in Product measurements were taken using size SM (US 2-4). Please note that measurements may vary by size. An elegant wardrobe essential from three dots&amp#8482. Sublime stretch viscose rayon in a 2x1 rib feels soft and fine. 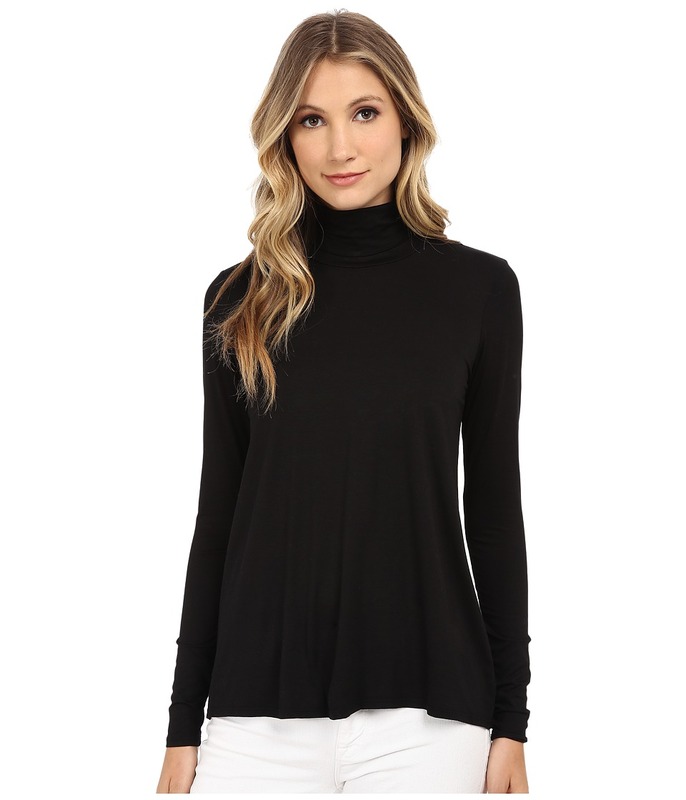 Long sleeve turtleneck features a classic fold-over collar. Modern long length and feminine slim fit. Signature flat-lock stitching. 95 percent viscose, 5 percent spandex. Machine wash warm, tumble dry low. Made in the U.S.A. and Imported. Measurements: Length: 24 in Product measurements were taken using size SM (US 2-4). Please note that measurements may vary by size. Elegant t-shirts do exist. This three dots tee is the perfect go-to top when it~s a bit colder than expected, but you still want to shine. Lightweight stretch viscose fabric feels soft and slinky. Slim fit. Long sleeves. Banded open crew neck. Falls at the hip. 25.5 length. 95 percent viscose, 5 percent spandex. Machine wash cold, line dry. Made in the U.S.A. and Imported. Measurements: Length: 26 in Product measurements were taken using size SM (US 2-4). Please note that measurements may vary by size. Add subtle beauty with a whole lot of comfort to your nighttime ensemble with the Charisma slipper from Haflinger&amp#174. 100 percent boiled wool upper adorned with a trio of three-dimensional flowers and cable-knit detailing for added appeal. Warm wool-covered footbed is sure to massage your foot with each and every step. Contoured footbed with latex arch support is sure to leave your feet feeling happy. Wool-felt sole with numerous traction dots deliver traction and long-lasting durability. Imported. Measurements: Weight: 6 oz Product measurements were taken using size 39 (US Women~s 8), width M. Please note that measurements may vary by size. Weight of footwear is based on a single item, not a pair. Feel flirty and fabulous as you showcase your inner fashionista in this divine three dots top. Soft jersey fabric drapes across the body for a relaxed, flowy silhouette. Long sleeves. High-low hemline. 95 percent viscose, 5 percent spandex. Machine wash cold, hang dry. Made in the U.S.A. and Imported. Measurements: Length: 27 in Product measurements were taken using size XS (US 0-2). Please note that measurements may vary by size. Winter~s not just about tackling the slopes. Sometimes a bit of element-battling is in the mix. Whether you~re shedding inclement weather or carving through fresh powder, the variable performance of the Bugaboo Interchange Jacket will have you cruising in comfort. Regular Fit is an easy, lightly relaxed fit for comfortable range of motion. Three-point Interchange System with zip-out design. 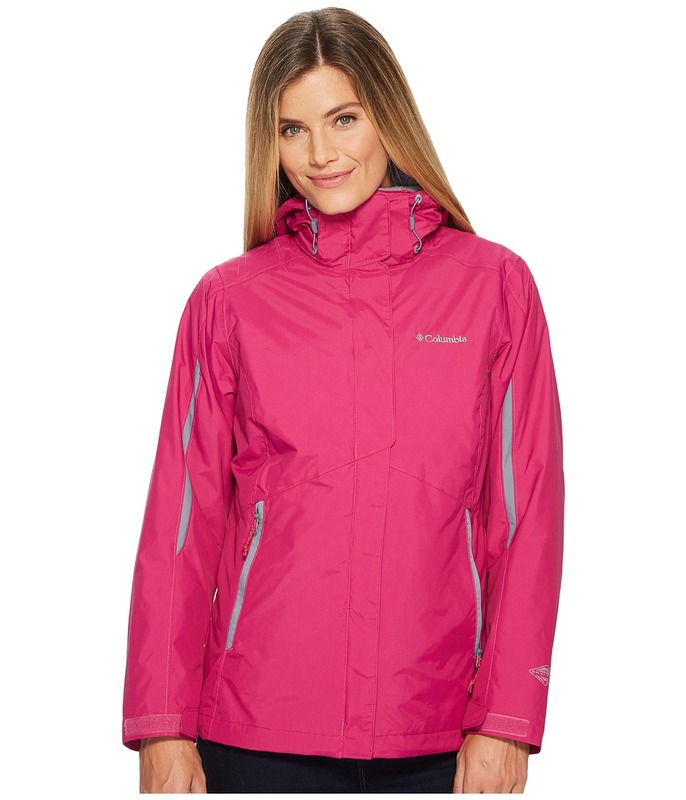 Outer Softshell Jacket Omni-Tech technology: &amp#8226 Waterproof with critically sealed seams. &amp#8226 Three-layer bonded design maintains high breathability. &amp#8226 Lightweight design reduces bulk. Removable hood with brim and three-way adjustability. Stand collar with snap-button closure. Hook-and-loop flap over full-length zip. Inner zip pocket. Zip hand pockets. Adjustable hook-and-loop cuffs. Droptail hem with toggled drawstring. Body: 100 percent polyester Lining: 100 percent nylon. Machine wash and tumble dry. Inner Jacket Omni-Heat reflective lining: &amp#8226 Metallic lining reflects body-generated heat for improved warmth retention. &amp#8226 Backing dissipates excess heat. &amp#8226 Membrane comprises 65 percent of lining for high breathability. Soft, plush Dotswarm fleece. Stand collar. Full-length zip. Kangaroo hand pockets. Straight hemline. 100 percent polyester. Machine wash and tumble dry. Imported. Measurements: Length: 27 in Sleeve Length: 34 in Product measurements were taken using size SM. Please note that measurements may vary by size. 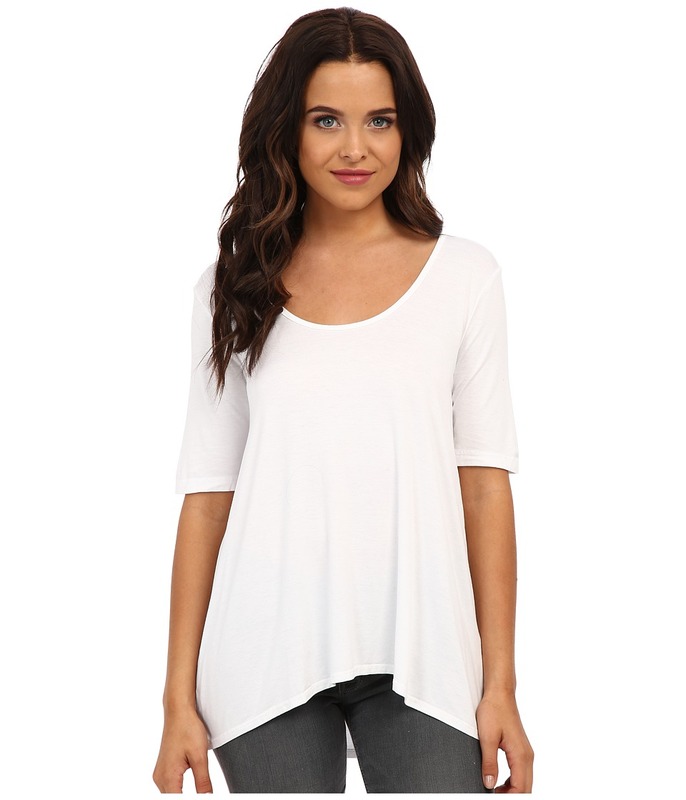 This trendy nine-inch sleeve tee is a closet staple. Soft cotton fabrication is fitted to create a feminine silhouette. V-shaped neckline. Half sleeve design. Straight hem. 100 percent cotton. Machine wash cold, tumble dry low. Made in the U.S.A. and Imported. Measurements: Length: 24 in Product measurements were taken using size XS (US 0-2). Please note that measurements may vary by size. 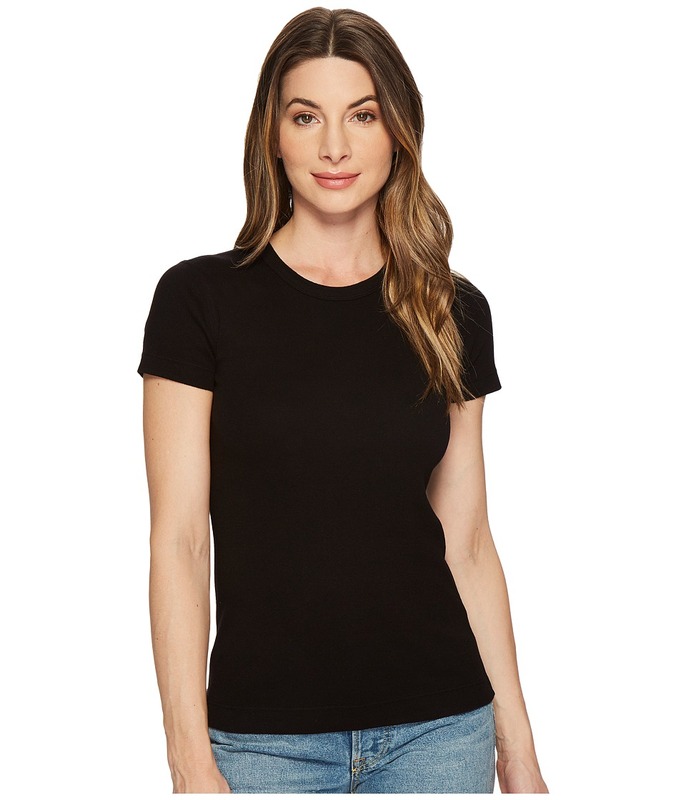 Upgrade your wardrobe staples with this chic three dots tee. Lightweight, relaxed fit top can be worn alone or paired with your favorite necklace for a night out. Scoop neckline. Three-quarter sleeves. High-low hemline. 95 percent viscose, 5 percent spandex. Machine wash cold, hang dry. Made in the U.S.A. and Imported. Measurements: Length: 27 in Product measurements were taken using size SM (US 4-6). Please note that measurements may vary by size.